The aim with The Athlete Charter is to be the world’s largest athlete-focused survey ever commissioned. All elite-level athletes are invited to share their voice. Integrity and Clean Sport is one of the key topics. Clean Sport was also the main topic on the 1st WADA Global Athlete Forum with the theme The sport we want. Erik Blomgren, coordinator of the Ski Orienteering Athletes Commission attended the forum on behalf of the IOF. 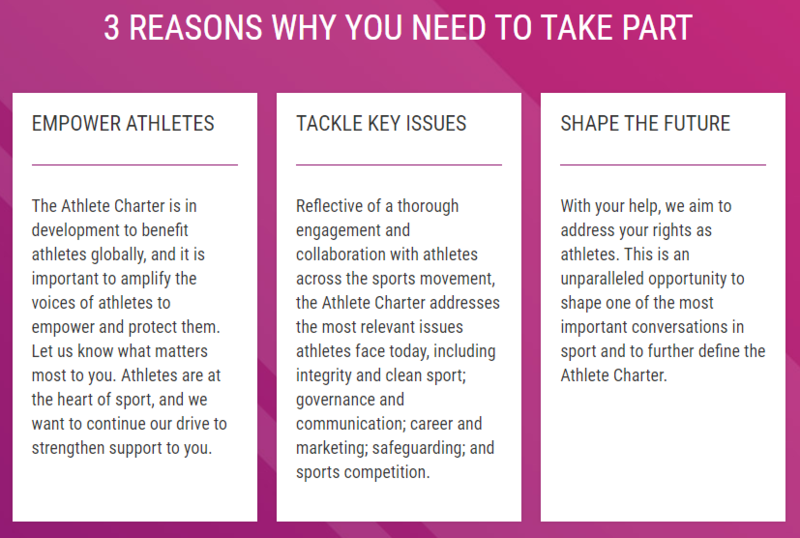 The Athlete Charter aims to bring together the rights and responsibilities of athletes into one straightforward document. The goal is to implement a body of universal principles that are flexible enough to adapt to athletes’ needs across all sports and countries ensuring they are supported for generations to come. The Athlete Charter Steering Committee invites all elite-level athletes to share their voice by completing a survey that will help shape this important document. There has also been a lot in the local media recently about drug testing in New Zealand resulting in bans for many recreational sportspeople rather than elites. With that in mind it is perhaps pertinent that this IOF News item links to the outcomes of the WADA Global Athlete Forum which was held in Canada over the Northern Hemisphere summer.